Inglot Sleeks Cream Lip Paint ~ Light, non-sticky, moisturising formula with vitamin E. Paraben free. 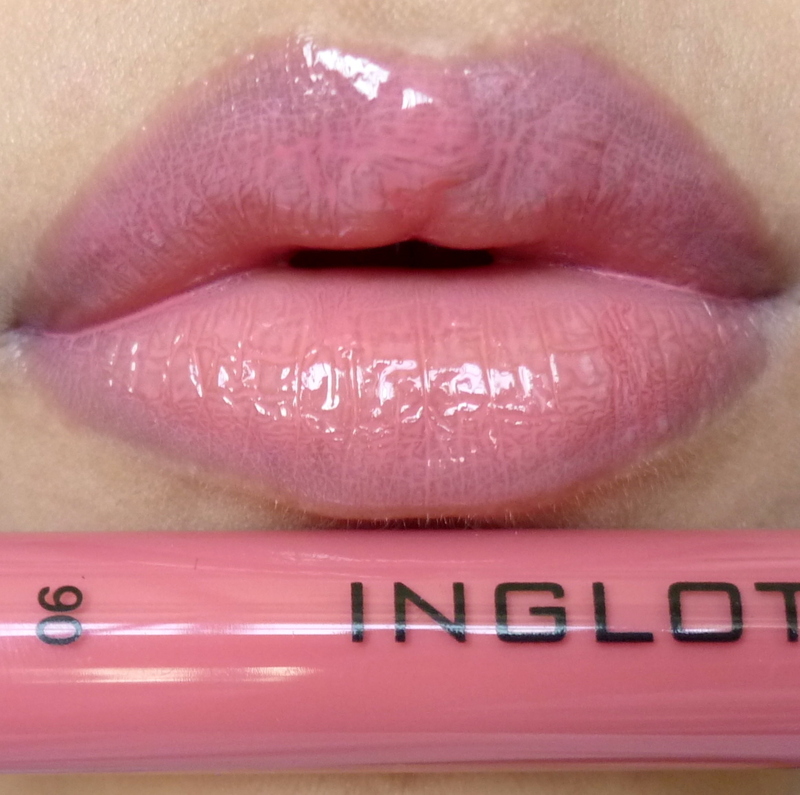 This is my first lip gloss from Inglot. I'm not so crazy about lip glosses and recently I don't even look at them in stores. I don't even remember the last time I bought one. Even with this, I bought it mainly for the unusual test tube packaging. Isn't it so cute?! I got #90, a pretty coral-pink. I love this shade! It comes with a sponge doe foot applicator. 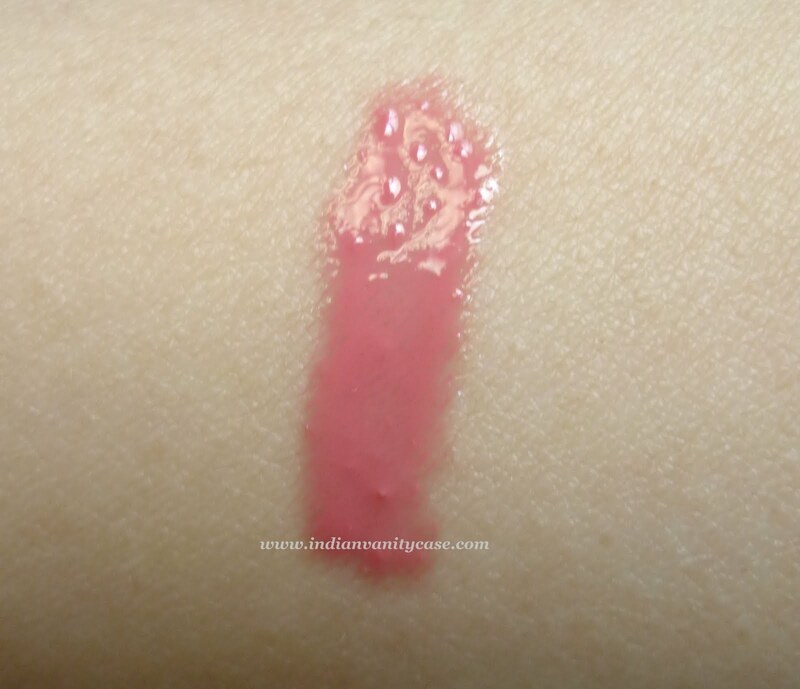 90 swatch ~ This is the true color. Very moisturizing. My lips were chapping like crazy lately and none of my lip balms helped until I used this. Even though the color fades after locking lips too much, the balmy feel doesn't wear off completely. Smells like vanilla ice cream! But not very strong though, and doesn't taste sweet. Looks pretty on you. Is it a lip plumper too? Yr lips look...well..plumper.. This looks awesome! 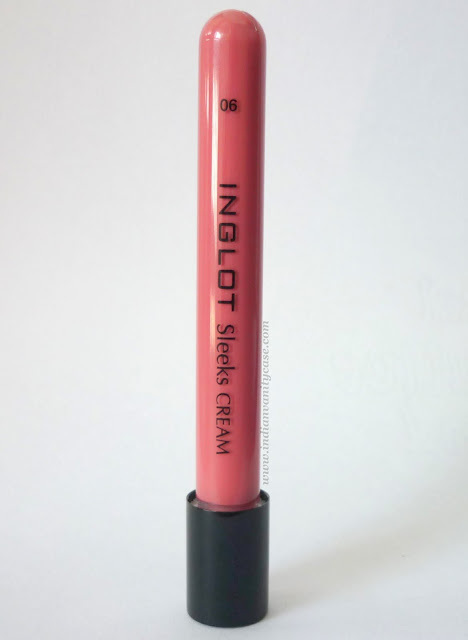 Love inglot products. cynthia i too got this gloss mainly for its packaging! it looks so unusual sitting on a table and also when you whip it out of your purse for a quick touch up! the shades are unusual too, difficult to dupe. i have an almost pastel coral shade. the one you have is so gorgeous! 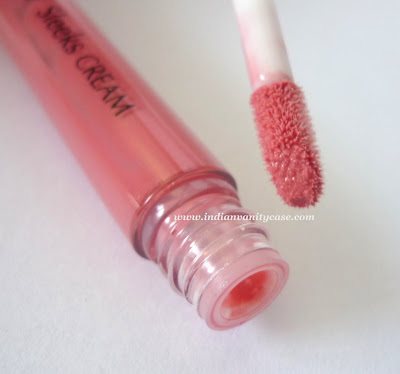 oh and its quite strange, but my gloss too looks different swatched and on my lips. the colour changes quite a bit. god its about time i bought a new lip gloss. i wish someone would gift this to me..
Rima- Oh that's a gorgeous shade too. Ya I clicked 3-4 pics and still the color didn't come out right. hey - i hauled inglot today! Totally worth the 4 hours odd commute to and fro! Btw they have this promo - buy 3 face products and get the lowest price one free! I don't usually wear gloss or any lip products except a clear balm, but I've been dying to get a few glosses. Oh, if only Inglot was near me. I'm the same, don't really like lip glosses much prefer lipsticks really, but it's a nice colour. The tube looks more like an uber cute test tube. And the color is so pretty !! wow... this is such a petty colour... love it !! <3 thnx for the review..
i was it in shadde 93..